Students read sentences and then identify the noun. 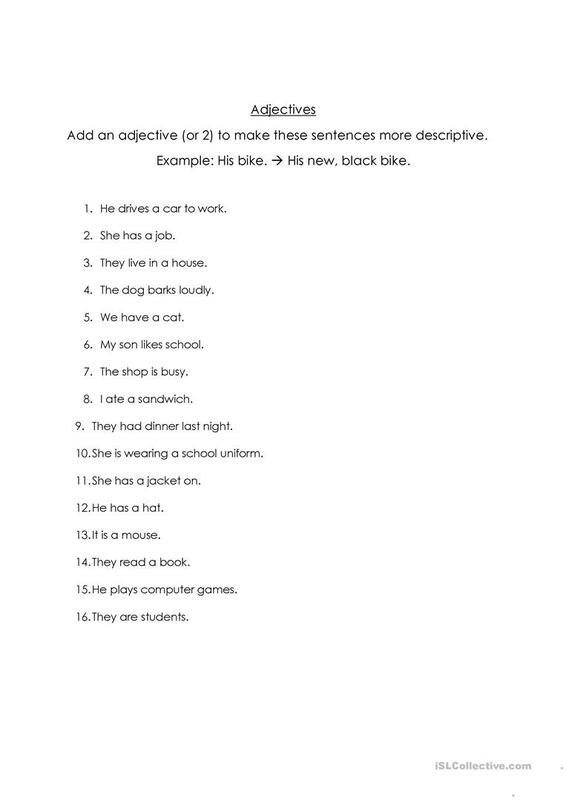 After, students need to make the sentences more descriptive by adding adjectives. Challenge stronger students to make the sentences longer. The above printable, downloadable handout is recommended for adults at Elementary (A1) level. It is great for revising Adjectives in English.